Bhadrapur, Feb. 1: Prime Minister KP Sharma Oli has inaugurated the night flight service to and from Chandragadhi airport of Jhapa on Thursday evening. The airport established in 2026BS has been equipped with modern facilities after five decades to launch the night flight. On the occasion, Prime Minister Oli inaugurated the night flight service by switching on the runway light. The runway is stretched for 1500 meters. Following the inauguration, the Prime Minister left here for Kathmandu on a Yeti Airlines flight. 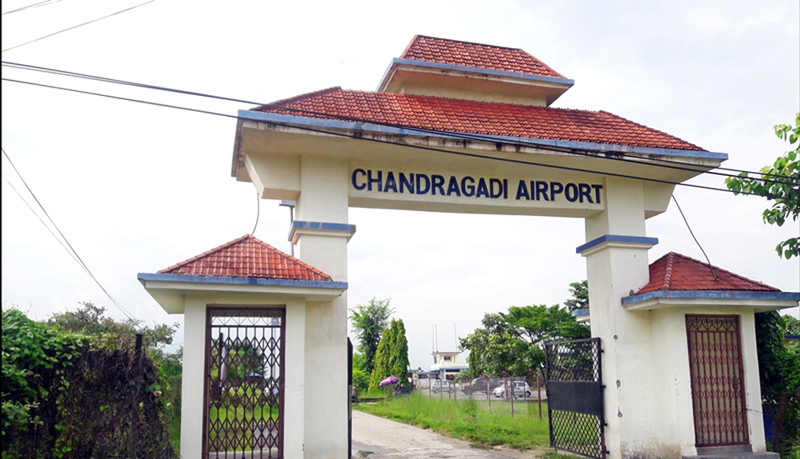 Chandragadhi Airport receives regular flights from Yeti Airlines, Buddha Airline, and Shree Airlines for twice a day, and by Nepal Airlines for three days in a week. Chief of the airport, Purna Chudal, said the airport was equipped with modern facilities for the night flight. The Yeti Airlines has decided to conduct evening flight every day, while Buddha Air will conduct regular flight during the night after 10 days. The inauguration function was attended by Minister for Culture, Tourism and Civil Aviation, Rabindra Adhikari, Minister for Physical Planning and Infrastructure, Raghubir Mahaseth, Province 1 Chief Minister Sherdhan Rai, among others. Meanwhile, inaugurating a bridge constructed over Mechi River at Bhadrapur in the district Prime Minister KP Sharma Oli has expressed his commitment to run a railway service from East to the West of the country. Prime Minister Oli said that the railway network would be constructed in various parts of the country. He argued that the agenda of railways and waterways were not mere slogan of the government but would be materialized to lead the nation on the way to prosperity. The Prime Minister argued that with the completion of the bridge locals would be directly benefited as it has linked Bhadrapur with various parts of India. The bridge was constructed at a total cost of Rs 330 million.